Gloomy forecast of the global and country’s economy does not seem to discourage domestic and foreign retailers from carrying out expansion plans. Data from the General Statistics Office shows that total retail goods and consumption services sales in December 2012 rose 1.05 percent over the previous month, up 9.2 percent year-on-year. Thus, the total retail goods and services sales in 2012 exceeded VND2,320 trillion, an increase of 16 percent over last year. From this, trading businesses accounted for VND1,870 trillion, up 14.8 percent; hotel and restaurant services touched VND273.2 trillion, up 17.2 percent; other services surged 19.6 percent; and although tourism accounted for the smallest margin, it posted a sharp increase of 28.1 percent. These figures somewhat point to the fact that Vietnam’s retail industry still managed a good performance though the economy remained stagnant and purchasing power weakened. Most investors still have high expectations of the market with a population of 90 million people, of which young people who often buy goods through modern retail channels account for about 50 percent. Dinh Thi My Loan, general secretary of Vietnam Retailers Association, said that modern retail channels have just covered 20 percent, so potential in the retail market remains huge. According to plan, Vietnam will raise the rate to 45 percent so the current economic difficulties certainly will not discourage investors in the retail sector. Nguyen Phuong Thao, representative of Maximark Supermarket, said that despite an economic slump, consumption demand still exists. To know how to boost demand is what matters. In addition, if local retailers abandon the market instead of preparing well and waiting for the opportunity to take control of the market, foreign retailers with strong financial potential and a wealth of experience in retailing, certainly will. 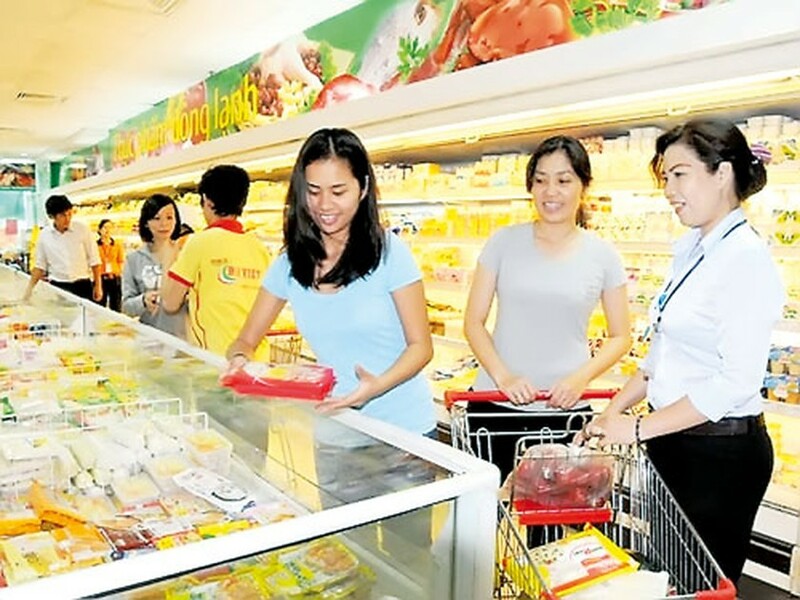 This year, BigC planned to open 10 more supermarkets, raising its supermarket numbers to 29. Wholesale supermarket Metro also has expansion plans for this year. Trying not to be out of the game, Vietnamese retailers have been expanding their network step by step. Within the last few months of 2012, Vien Thong A Company launched nine new smart-phone centers. 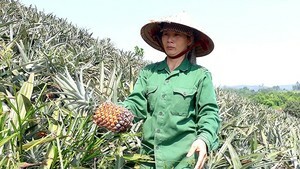 Hoang Ngoc Vy, CEO of Vien Thong A Company, said that her company will upgrade these centers into bigger stores. The appeal of the retail market has attracted some new retailers, such as C.T Group which opened its S.Mart Supermarket in late December last year. This year, the group plans to open supermarkets across the country. Meanwhile, retailers have started to attach importance to spreading business to outlying districts. According to plan, Saigon Co.op will increase the number of its Co.opMart supermarkets across the nation to 100. Nguyen Thanh Nhan, representative of Saigon Co.op, said that Vietnam’s retail industry has been strongly developing so enterprises should always try their best to grab opportunities. The attraction of Vietnam’s retail market also showed by the amount of money that foreign investors decided to pump into it. Lotte Mart raised its investment capital in Vietnam to US$50 million. Japanese retailer Aeon also has a big investment plan in Vietnam. Its first project will be a shopping center covering an area of 82 hectares at Celedon City Complex in Tan Phu District in Ho Chi Minh City. With an investment of $109 million, the shopping center is expected to be in operation in 2014. Aeon will open its second shopping center in Ho Chi Minh City at the end of 2014, and its third in Hanoi by 2015. Huge investments and expansion plans by local and foreign retailers have proved the appeal of Vietnam’s retail market which saw an annual increase of 23 percent in sales. Obviously, when deciding to expand business, retailers must have found a way to stimulate consumption though economic difficulties are still waiting for them ahead.